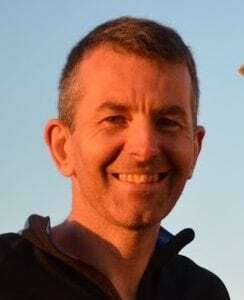 Professor Mark Mon-Williams (MMW) holds a Chair in Cognitive Psychology at the University of Leeds, and is Professor of Psychology at the Bradford Institute of Health Research and Professor of Paediatric Vision at The Norwegian Centre for Vision. MMW leads the Centre of Applied Education Research (a partnership between the Universities of Leeds and Bradford together with the Department for Education, the Education Endowment Foundation, and the Bradford Local Authority) – a multidisciplinary Centre based at the Bradford Royal Infirmary. MMW held post-doctoral fellowships at the Universities of Edinburgh and Queensland before taking up his first faculty position at the University of St Andrews in 1999. In 2002 he moved to the University of Aberdeen where his laboratories received funding from a large number of grant awarding bodies. He was appointed to a personal Chair at the University of Leeds in January 2009 and was Head of the School of Psychology from 2011-2014. MMW leads a research group that use their fundamental scientific contributions to address applied issues within surgery, rehabilitation and childhood development. MMW has responsibility for ensuring societal impact arises from research conducted within the University of Leeds’ Faculty of Medicine and Health. His research is funded by the EPSRC, EEF, MRC and ESRC. It’s the ultimate project for any scientist interested in child development and it’s a study that helps to make the world a better place – it doesn’t get better than that!